The card for the first Matchroom USA show has been announced. DAZN now know what they are getting for their $$$, and it’s rotten fish guts. A few years ago I was speaking with Eddie Chambers about his career. He admitted to being outclassed by Wladimir Klitschko, to being too inactive, and said that he regretted many things from his life in the sport. I liked the guy. He was honest, intelligent, and had no problem having an opinion that was broadly against the tide. We spoke about Tyson Fury’s upcoming bout with Klitschko and Eddie (who was sparring Tyson in the UK at the time) had no hesitation in saying that Fury would, ‘box Wlad’s ears off.’ We also talked about Chambers’ points defeat against Tomasz Adamek back in the middle of June 2012. Since that fight, Adamek’s best win has arguably been against Steve Cunningham (also in 2012). 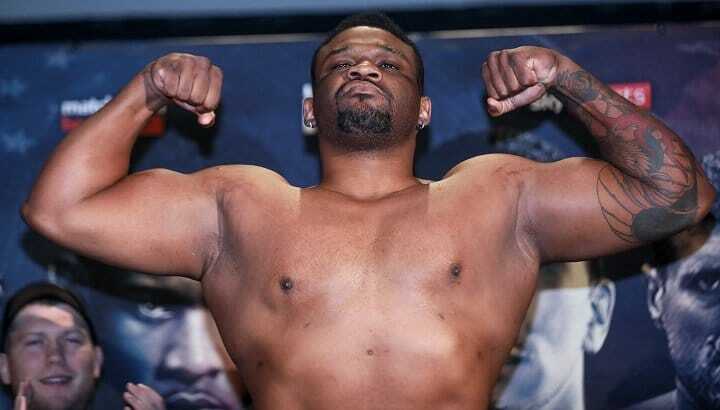 Adamek is now 41 and Eddie Hearn has picked him to fight Jarrell Miller on the first ever Matchroom USA DAZN event as one of the ‘stacked card’ bouts of the evening… What an entrance to the US PPV market. What joy. Other even-contested prospects to look forward to that evening include: Jessie Vargas v Thomas Dulorme, Artur Beterbiev v Callum Johnson, and Daniel Roman v Gavin McDonnell. Pick your winners (Yes, I know, we’ve all picked the same ones) at the Wintrust Arena in Chicago and relax that evening knowing your $10 per month new DAZN contract has been worthwhile, while the right people fall over in the right places like characters in a Chicago pulp crime novel. Al Capone’s city knows the score.